Far too often, people look at their path in life and wind up with nothing more than a lot of regret. They think about how much time they’ve wasted and how many wrong decisions they made. But just think for a moment if everything you’ve done — mistakes and all — was truly a contribution to who you are today? What if there were no regrets, no mistakes and there was just the journey? We hear that saying many times before — life is a journey. But rarely do we take the necessary mindset to allow that to be true. Just the other day I had a consultation with a new client who said that she was raised in a very traditional family environment. The philosophy was simple: you worked hard, you went to school and got a good education. To do extracurricular fun and creative things, she had to maintain a 4.0 GPA. There was a clear work-for-reward principle she followed closely. She got married and was on her way to having kids and being a stay at home mom. She went into Engineering because she was told “that’s what you’re good at” and began her career. But her plans changed considerably. The marriage didn’t last. She admits that thankfully her ex-husband was abusive otherwise she probably wouldn’t have left (an interesting thing to admit and an honest testimony to her path so far in life). Now she’s left with “now what?” She doesn’t know what her purpose is, what she wants to do with the rest of her life and what career path she would like to do next since her current one is deeply dissatisfying. She’s burnt out on her own life. The one constant in life is that it’s full of transition: There’s transition from counting our birthdays in months to half years to full years. We transition from diapers to pull-ups to underpants. As a child, we transition from elementary school, to junior high to high school and then college. Then there are those adult transitions from being single to dating to being in a “relationship” to marriage to divorce and then learning how to be single again. Or the transition of falling into a specific career path only to realize you’re not happy or fulfilled, before transitioning to the soul searching journey for what you truly want to do and believing that it’s possible to do it. What makes these transitions difficult is that there are so many norms, requirements, and appropriateness that we come up against. What’s best because our parents said so, what’s cool or hip because our peers say so, what’s appropriate because of our gender, and what’s wrong or right because society tells us so. We have it in our minds that our journey needs to go in one direction, only to find out that it’s gone astray to our original plan. No wonder so many people feel lost, confused and lack the confidence to make a change simply because they want to. We are so busy trying to please everyone else that being truly happy or ecstatic about life seems like a complete fiction like a scene from a “feel good” movie. But what if you were the writer of your life’s “feel good” movie script? What if you were also the director, the producer, and the Director of Photography? What if you could have an impact on the visual effects? Or the set design and wardrobe? As in all the aspects of how entertainment is put together and runs like a well-oiled machine, we too put together the pieces of our lives. Where we are, who we are with, the food we eat, how we dress, what we do with our time, how we communicate, and most importantly, the thoughts we have about everything. So who are you? One of the questions that most people get stumped by is “so tell me about yourself.” Most don’t even know where to start — or where to end for that matter. How about “what do you represent?” No one ever asks that. Can you imagine that if we incorporated this question more into our conversations how quickly we would actually get to know each other? We are complex creatures, yet so simple. We expend so much energy and time worrying, planning, and then working through our disappointment because things don’t turn out the way we thought they would. What if they weren’t supposed to? So what your relationship didn’t work out — why let that stop you? So what that you aren’t in the right career — why let that stop you? Life is what we make of it. Not what it makes of us. Who cares who you are — who do you WANT to be? How bad do you want to be it? What are you willing to do to get it? Life is challenging. It’s meant to be. If it was easy, you probably would have gotten bored a long time ago and would have walked out of your life’s movie. So if you’re still here, you are avoiding the exit and for good reason. 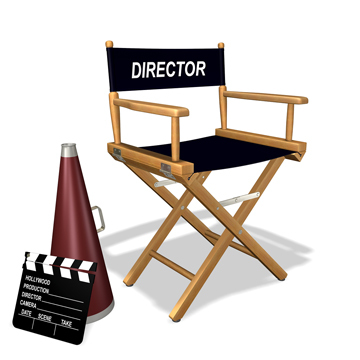 There are lots of scripts to be written, many scenes to be shot, and movies to be produced. Whether you’re in your comedy, drama, a documentary or thriller, we are here to be entertained and to entertain. So stop letting it stop you. The camera is still rolling. The director hasn’t yelled “cut!” yet. Your biggest scenes are yet to come.